Finnish is spoken by the majority of people in Finland (92%) and ethnic Finns outside of Finland. It’s one of the two official languages of Finland (along with Swedish). It is related to Estonian and a few other minority languages in the region. Finnish uses the Latin alphabet with å, ä, and ö in addition to the 26 letters of the English alphabet‏‎. Finnish, unlike English, is also a phonetic language (each letter corresponds to a single sound). It is known as a difficult language to learn with complex grammatical rules. One of the major differences between Finnish and English grammar is that Finnish does not distinguish gender‏‎ in pronouns‏‎ (effectively he, she, and it, are treated as it). This can sometimes lead to confusion amongst learners of English with regard to use of pronouns. Incidentally, it’s been shown that young Finnish children are aware of their own gender much later than speakers of English. The following is a list of other major differences between Finnish and English grammar. In written Finnish the first and second personal pronouns are often omitted as the verb is inflected; however they are used in spoken Finnish and for the third person. There are major differences in the way the passive voice‏‎ is used in Finnish and English. 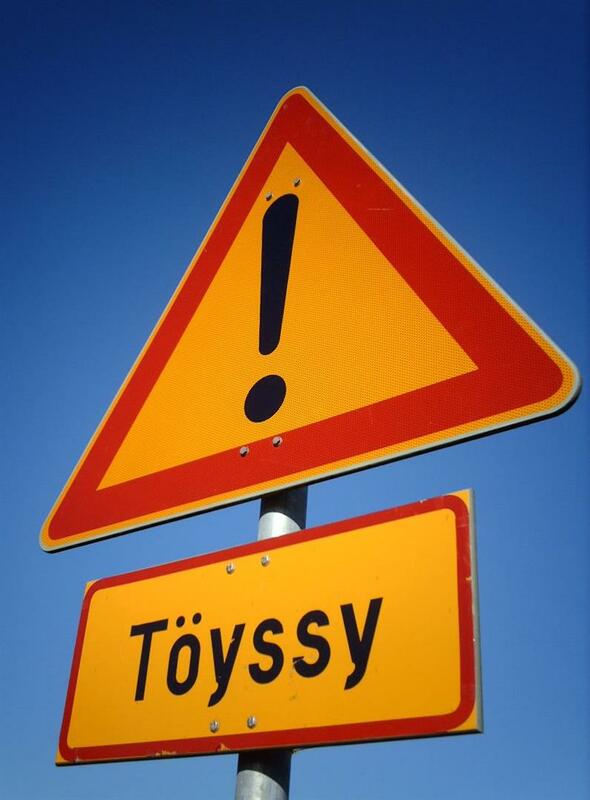 There is no future‏‎ tense in Finnish. The following is a list of words used in everyday English which are originally from Finnish. NB there are a few technical words which are used to describe Finnish ideas or objects but in everyday English only sauna has established itself. Why Finnish is cooler than English – a light-hearted look at differences between the languages.